So excited for their very first swim lessons. Singing songs about love....so funny! 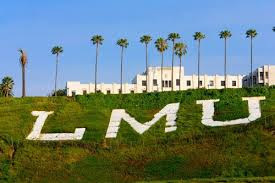 After talking to tons and tons of people about swim lessons we signed the kids up to take lessons at Loyola Marymount University. It's nice that it is less than 10 minutes away from our house. I wanted to put the kids in semi-private lessons just the two of them and a teacher. You could schedule lessons when ever you want -even different times every-time you go ( very practical with a new baby). I think you learn quicker with less people in your group. I couldn't sell Steve on the price. We signed them up for group lessons and guess what. Turns out they are the only two in their group! Super Yea!! They were so cold when they got out of the water...they didn't want to walk to the car. A special lunch for our first week of summer break. Got some new saltwater sandals for summer. This volunteer came and read to the kids and the bears. So nice. We signed up for the kids summer reading program. Trying something new.... strawberry mango flatbread from Trader Joes.